Safety has really paid off for The Radford Co. Shown from left, Britt Radford, chief executive, Craig Cox, plant manager and Robert Tipton, president and COO. The Radford Company is an employee owned, managed, and operated manufacturing company that makes control valves for various industries and they know safety pays off big time. The Tulsa, OK-based firm wholly owns the subsidiary companies OCV Control Valves/AMS Machining Specialists and Precision Coatings, LLC. The company designs, manufactures, and sells products such as hydraulically operated automatic control valves to industries ranging from fire protection and petroleum to aviation and water utility systems. The subsidiary company OCV Control Valves was founded more than 50 years ago and has over 50,000 square foot of manufacturing space. Back in 2014, the company was looking to improve and expand their safety program and bring new energy into their workplace. Management at the subsidiary companies learned of the Occupational Safety and Health Administration (OSHA), On-site Consultation Program through local businesses and business partners. 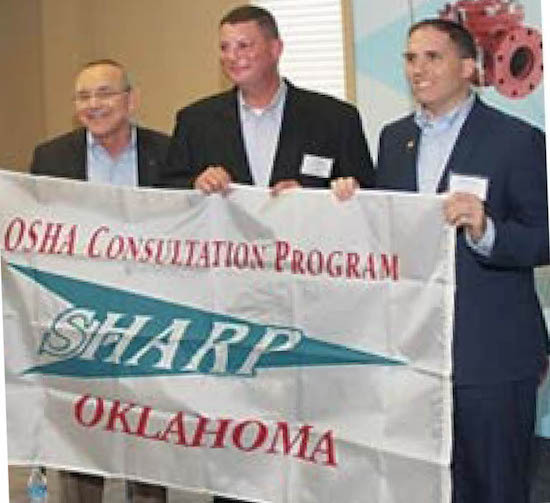 That is when Plant and Safety Manager Craig Cox contacted the Oklahoma Department of Labor, OSHA Consultation Division to assist the company toward its effort to expand, improve, and reenergize their workplace safety and health through OSHA’s Safety and Health Achievement Recognition Program (SHARP). “The OSHA Consultation Program and SHARP has had a direct and positive impact on the company’s financial bottom line as well as on the company’s culture and employees’ morale,” Cox said. In 2014, OSHA on-site consultants conducted a walkthrough of OCV/AMS Machining Specialists and Precision Coatings to identify areas of improvement for safety and health hazards. The consultants identified paperwork documentation errors and inspection practices as areas of concern. After a presentation of the results of the walkthrough, the company immediately developed an action plan to address the hazards. The feedback provided during the consultation visit helped to strengthen the company’s operational productivity and employee safety through the development and implementation of a renewed comprehensive safety program. In response to recommendations provided by the OSHA consultants, management formed a stronger bond with employees, increased awareness inspections, and developed a checklist to maintain safety programs. 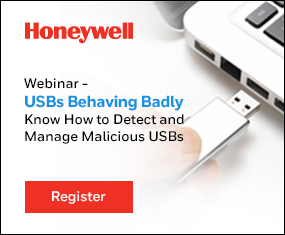 This effort helped the company to re-design their evolving safety program. Cox re-wrote safety program documents and instituted new procedures to manage and maintain injury and illness documentation at the worksites. Management worked closely with the OSHA consultants to update their safety program and developed new employee training programs to reinforce their safety commitment to prospective employees. For the past two years, working with the OSHA On-site Consultation Program has re-energized the company’s culture and provided a valuable resource for implementing new procedures and programs to protect employees on the job. Working to achieve SHARP gave the company a goal to attain. “SHARP is a motivator to discover ways to improve the safety and health management system,” Cox said. The major safety modifications earned the company acceptance into the SHARP program. SHARP recognizes small business employers who have used OSHA On-site Consultation Services and operate an exemplary injury and illness prevention program. Acceptance of worksites into SHARP from OSHA is an achievement of status that distinguishes a company amongst its business peers as a model for workplace safety and health. Since receiving SHARP approval in 2014, OCV/AMS Machining Specialist and Precision Coatings have had below the national average incident rates in their industry. “Employees are proud to have received the recognition and intend to maintain SHARP status,” Cox said.